Good health is more than just physical wellbeing. Much of our illness stems from an unhealthy spirit. The importance of being spiritually healthy can not be underestimated. If your spirit is unhealthy, this will often lead to physical problems too. Most of us don’t work to improve our spiritual health. The shaman believes that spiritual practice isn’t something you do once a week, it’s something to practice all of the time. If you’re spiritually healthy, you will not need spiritual healing like Reiki, or Trance Healing, to release emotional and mental blockages. If your spirit is in balance, so too will the rest of you follow. Everything is connected. No wonder we experience bad luck and illness. When we don’t look after our spiritual needs we’re in trouble! If the spirit is the top of the health chain, we tend to unlink from the top down, so to speak. But there’s hope! Trance Healing can help. Trance Healing is spiritual healing: where the energy comes directly from your angels, spirit guides and helpers. If you practice Trance Healing on a regular basis it’s so helpful for releasing emotional and mental blockages. The importance of being spiritually healthy is often shown through healers who have cured others of cancer, MS, AIDS, and other “incurable” diseases. They are so in-tune with the spirit world that even those who are not spiritually healthy can be healed. Trance Healing is a great way to learn how to do it yourself, so to speak. This form of connecting to the spirit world will get you into a regular spiritual practice, which will show you the importance of being spiritually healthy. You will start feeling a lot better. The great thing about Trance Healing is that you can also do it for your clients and friends. 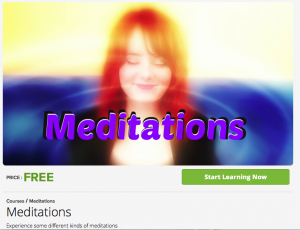 The Trance Healing course is based on advanced guided meditations, which allow you to connect to the spirit world as a Medium in order to receive healing. 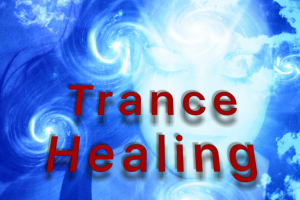 Stay tuned for this up coming course Trance Healing, that will be launched soon.